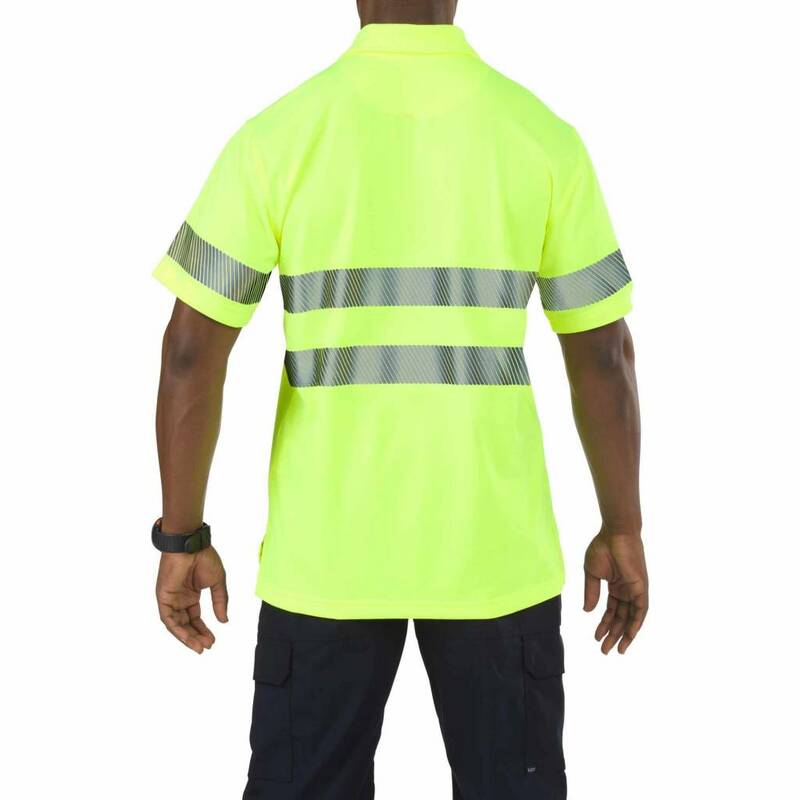 Authentic 3M® Scotchlite® reflective material at the chest, back, and sleeves, ensuring compliance with all ANSI/ISEA 107-2015 Type R & P, Class 2 regulations and ordinances on high visibility clothing. 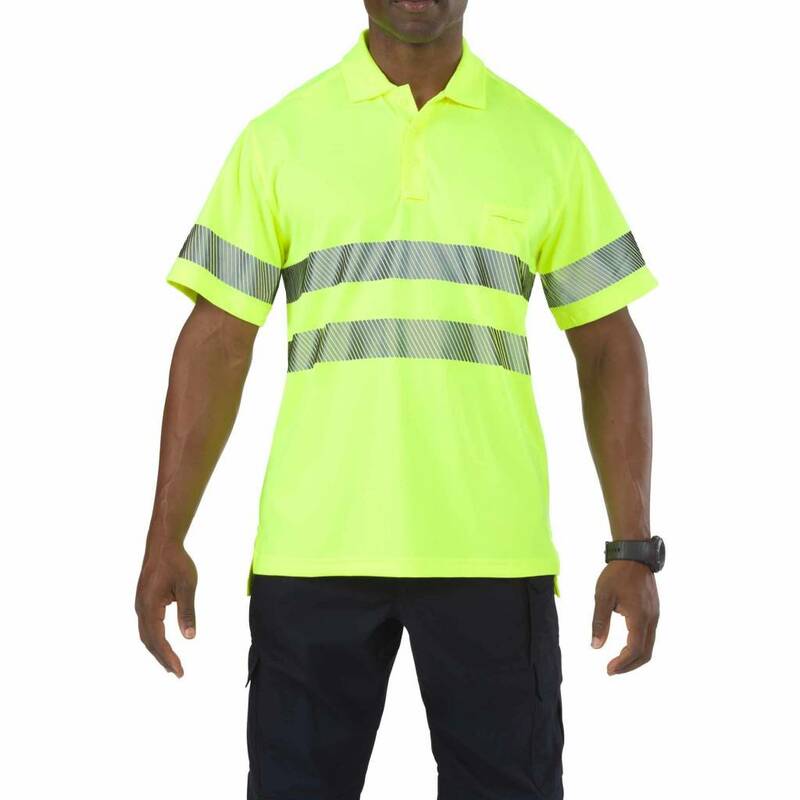 Designed to provide a highly visible profile in night time or low light conditions, the Short Sleeve Performance Hi-Vis Polo incorporates a generous application of authentic 3M® Scotchlite® reflective material at the chest, back, and sleeves, ensuring compliance with all ANSI/ISEA 107-2015 Type R & P, Class 2 regulations and ordinances on high visibility clothing. Additional features on our hi vis polo shirts include a dual compartment pen pocket at the left chest, side vents, integrated mic loops at the shoulders, and a drop tail for additional coverage in the back. An odor control, moisture wicking finish keeps you cool, dry, and comfortable throughout your shift.